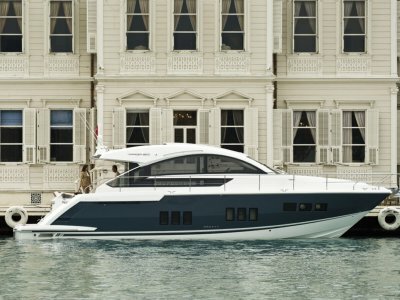 Welcome to this great new model from Fairline. 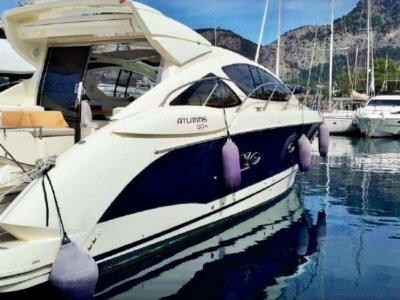 This boat provides for a truly wonderful open-to-the-skies experience where you can choose to invite in the warmth and sociability of your environment, with one elegant sweep of your electric hardtop. The hull has been specifically designed to compliment the Volvo Penta IPS engines, resulting in even more precise handling, along with impeccable sea keeping. The simple joystick control allows for docking precision in even the tightest berthing conditions. 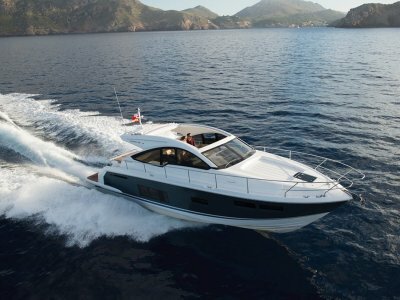 The Targa 48 is a beautifully designed vessel with 2 cabins and double en suite. The mid master is large and well appointed. The second forward cabin has the versatility of converting from a V-berth to a double bed making the boat suitable for a family or 2 couple and the dinette can also convert to a 3rd double bed. The electric hard top roof when opened lets light flood into the spacious, sociable upper deck that offers plentiful seating, a fold-out teak table and large sunbed. 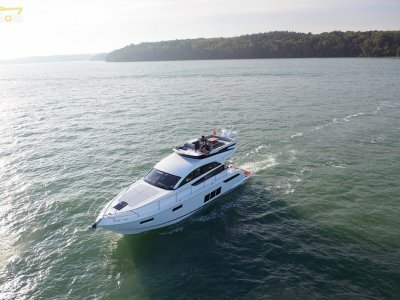 A garage in the back deck a can accommodate a sizeable RIB and along with the submersible swim platform makes this boat a versatile and exceptional design from the Fairline company. 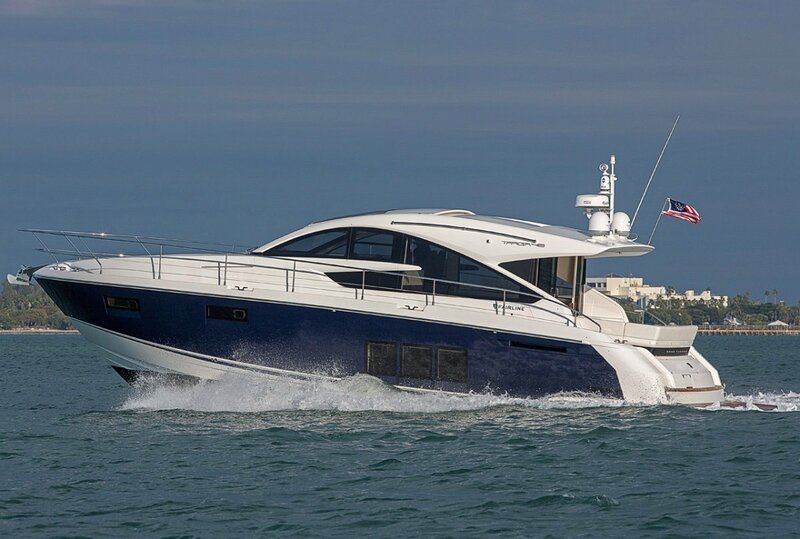 The 48 GT is nearly 51 ft overall and feels and performs like larger boats in its class. Call Premier Yachting on 03 9041 6335. Newly appointed Victorian and Southern Australian dealers for Fairline Boats.